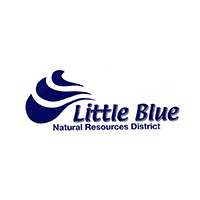 The Little Blue NRD Board of Directors will hold a Regular Meeting at 7:30 pm on December 11, 2018, in Davenport, Nebraska at the headquarters Board Meeting Room located on the south side of the building, east door. The Regular Meeting will be immediately following an Executive Committee Meeting at 6:45 pm & a Water Resources Committee Meeting at 7 pm. 8. Public Comment – Public comments may be made at this time; however, no board action can be taken at this meeting unless determined to be an emergency item, in accordance with the Nebraska Open Meetings Law. 16. Public Comment – Additional public comments may be made at this time. 17. Other Business – Opportunity to introduce an item for reference to a committee or placed on next month’s agenda.